We only use top quality display parts. We don't use cheap chinese made LCD panels. The iPhone 8's display is one of the best in the iPhone's history. While it's strengthened case design limits the possibility of damage, significant mechanical forces - like dropping the phone - can still cause breaking or issues with the module. The internal architecture of the panel is similar to previous models, so the whole touch and display module has to be replaced in the case of any issue. While the iPhone 8's display module is quite similar to the 7's, as usual they are not compatible with each other. This means that the iPhone 8's display part will be more expensive than the 7's, but because they are based on the same architecture, we will be able to offer the repair in the coming months for cheaper. When is it necessary to replace the front panel? The lcd panel has burn in (it shows yellow or red spots), which is caused by overheating. This can occur if the phone is left in direct sunlight, in a very hot place, for example in a car. It's also possible that it has a bad replacement part or the issue could be caused by logic board faults, that overheat the phone. Diagnosing the latter case takes a bit more time. It is important to highlight with the iPhone 8 too that we only work with the highest quality parts, and we are working hard to not cause our customers any disappointment because of bad quality parts. This has become more difficult in the last few years, because the market is full of bad quality, remanufactered touch display panels. In our repair center, we think quality is very important, so we can't work with cheap, untrustable parts. We are regulary approached by customers who were duped elsewhere with cheap repairs. Please trust us that these compromises are not worth it. Is it necessary to replace the whole touch and display panel? The layers of the display are laminated(glass, touch panel, lcd, 3D touch layer, backlight), so we can only replace the whole touch and display panel as with earlier models. So if any part gets damaged or develops a fault, it can only be replaced together. Replacing the front cover, the touch panel, display, lcd all refer to the same thing. How long does it take to replace? Replacing it is a moderately difficult process, the iPhone 8's display is rather sensitive, so the repair requires precision and experience. 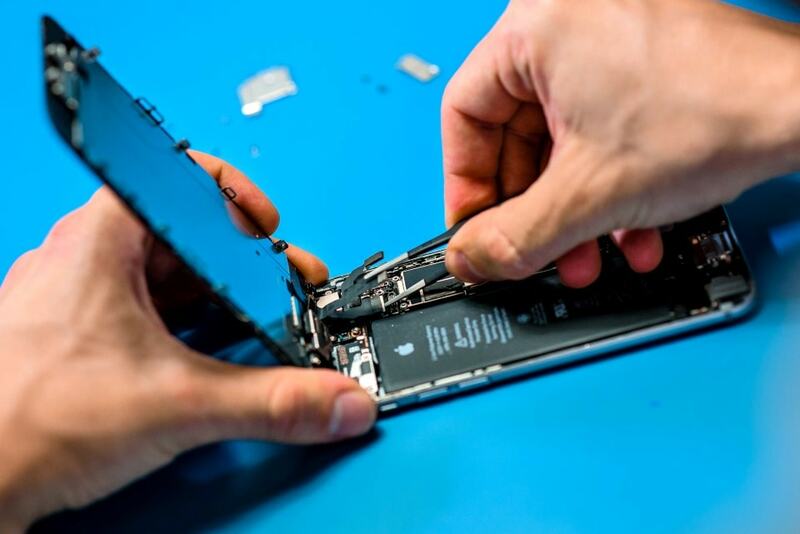 Depending on how busy the repair center is, it takes 30-60 minutes to finish fixing the phone. 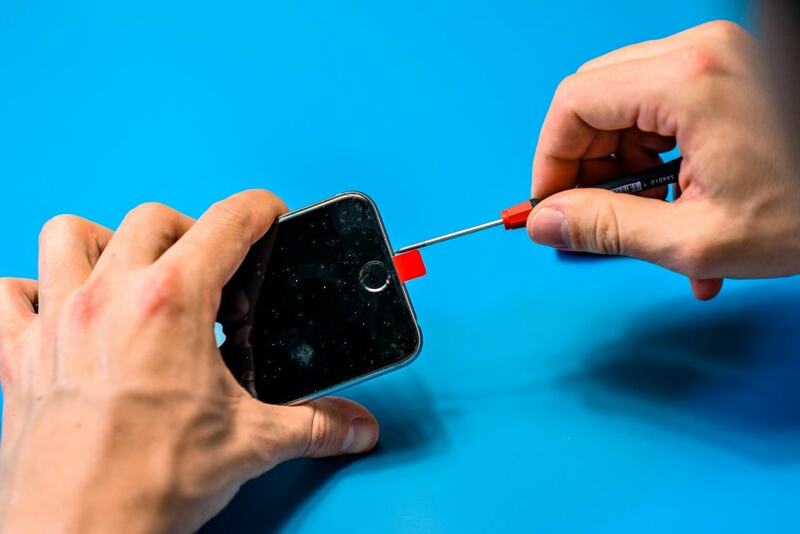 The display is fixed in place with a glue that improves the water-proofness of the phone. This makes a repair a bit more difficult, it doesn't cause any issues though. We re-glue the new display into its place. It's important to note that this device is not totally water-proof either, it's just more so than the models before the iPhone 7. This means that if the phone gets a bit wet, that usually won't cause any issues. 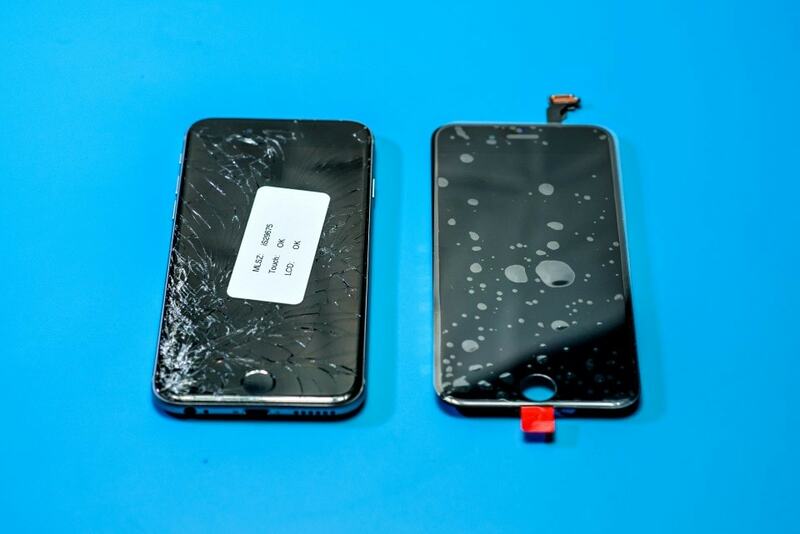 Apple doesn't accept warranty for water-proofness and we don't recommend to anyone to try experiment with it at home. Even if we had illusions, they quickly went away after the iPhone 7 was introduced. Even phones that spent a few seconds in the bathtub, in the lake Balaton, in the toilet or in a beer showed signs of water damage or developed serious faults. If the iPhone 8 discharges abnormally fast or doesn't work without plugging it in into the charger, it becomes necessary to replace the battery. If the sound from the iPhone 8's earpiece speaker is intermittent or the display doesn't turn off when we hold it near our face, then the sensor cable has to be replaced.